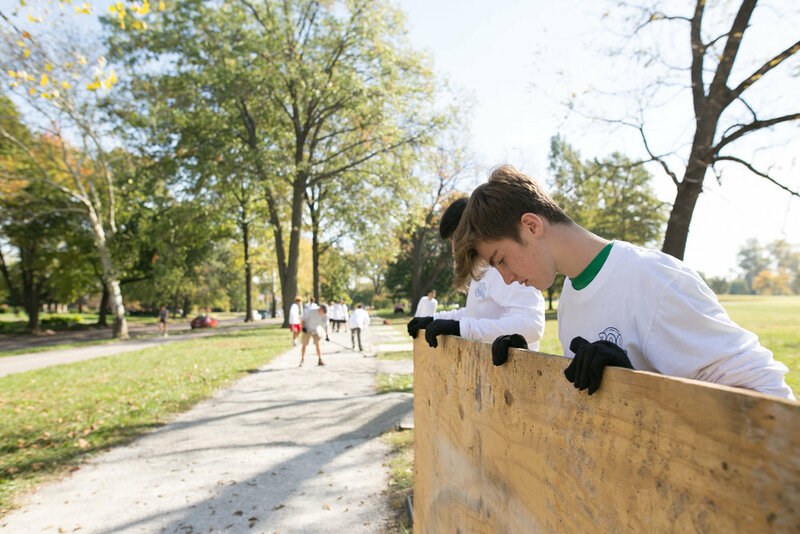 On Friday, October 20, our neighbors at St. Louis University High School celebrated their bicentennial with a day of service. 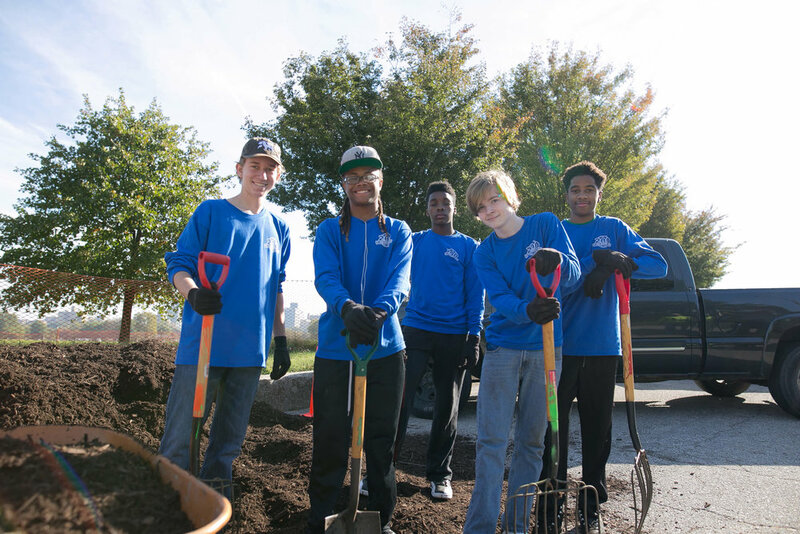 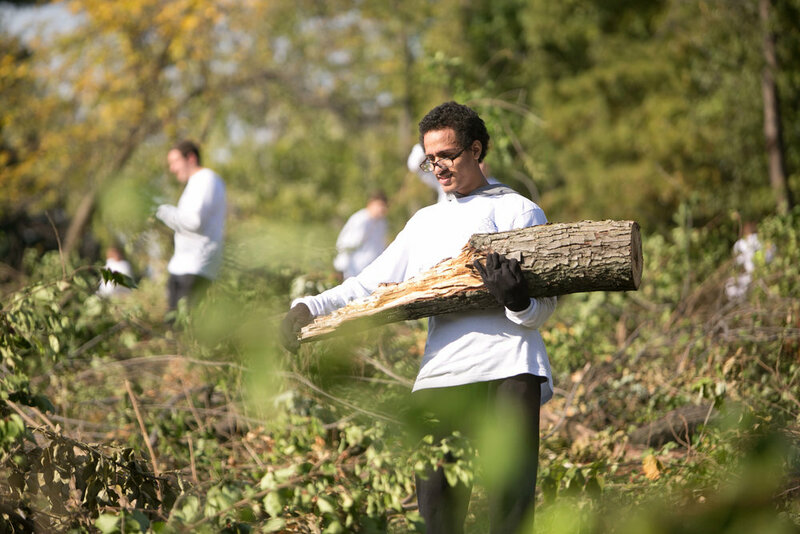 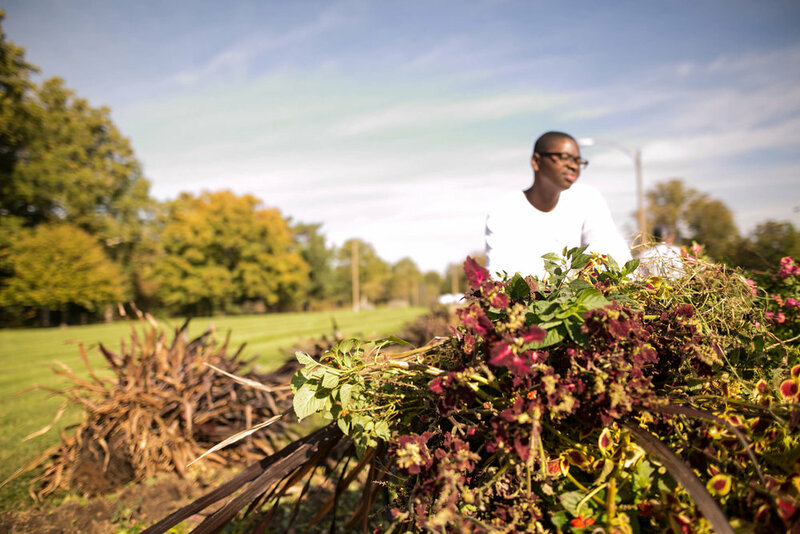 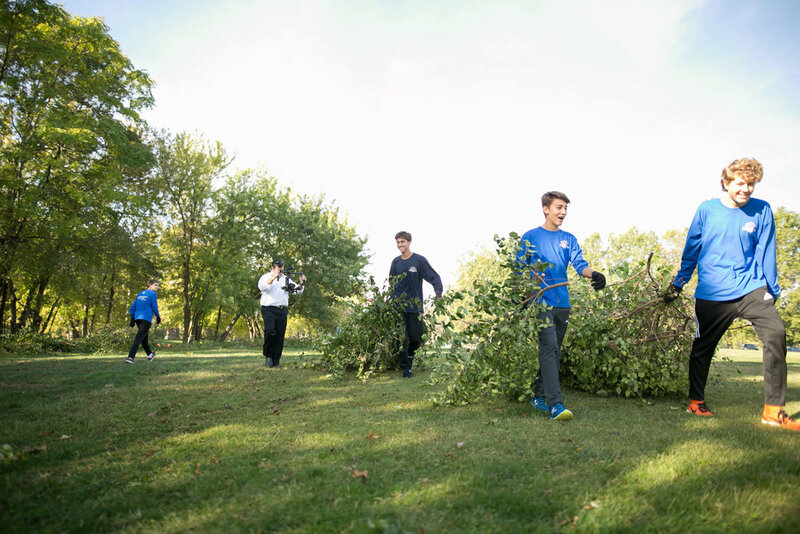 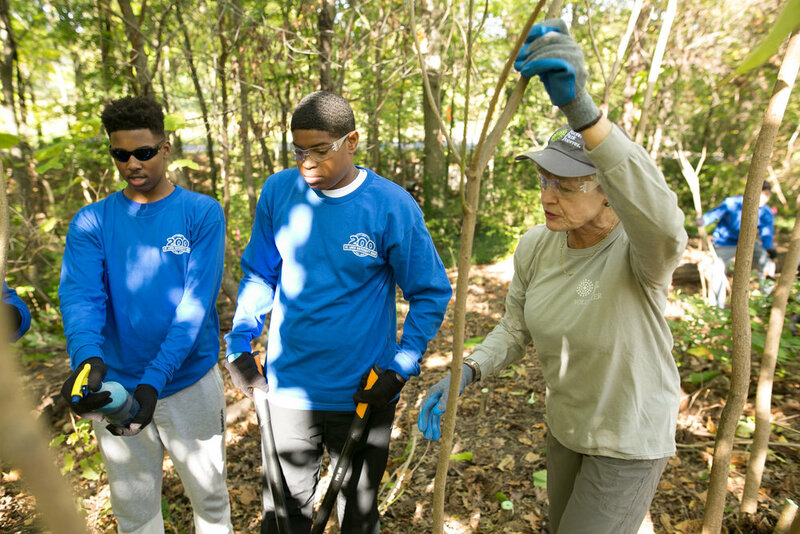 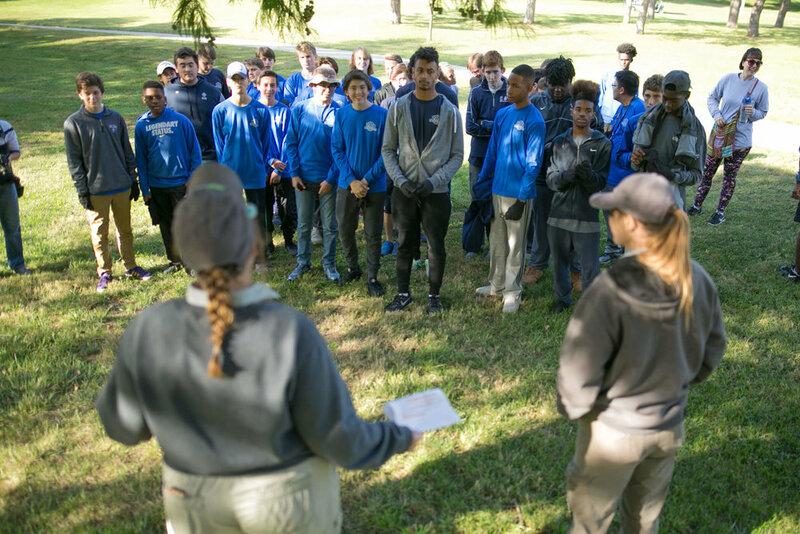 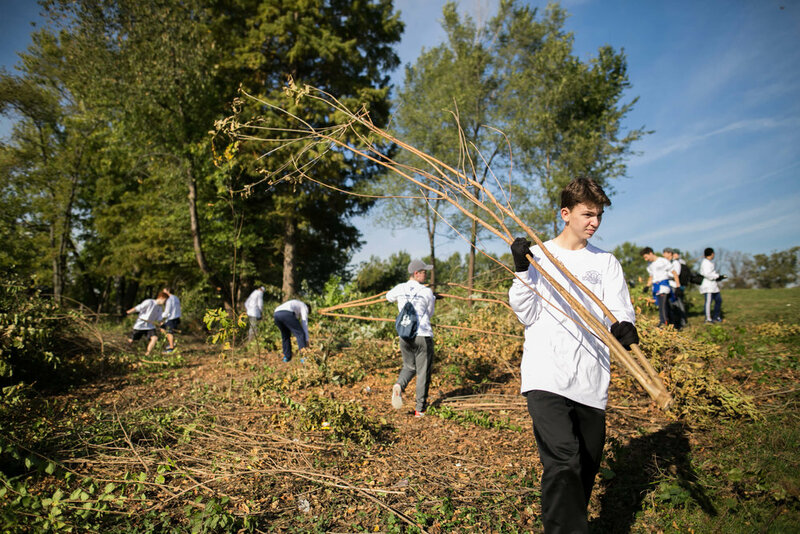 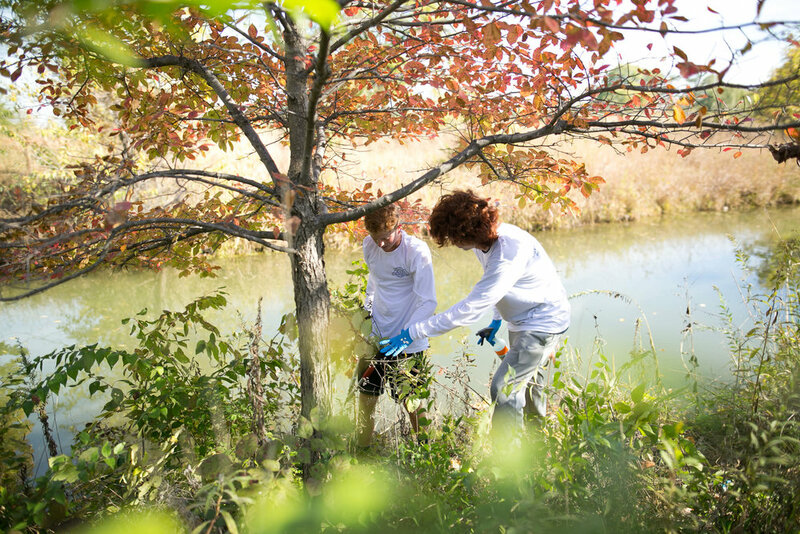 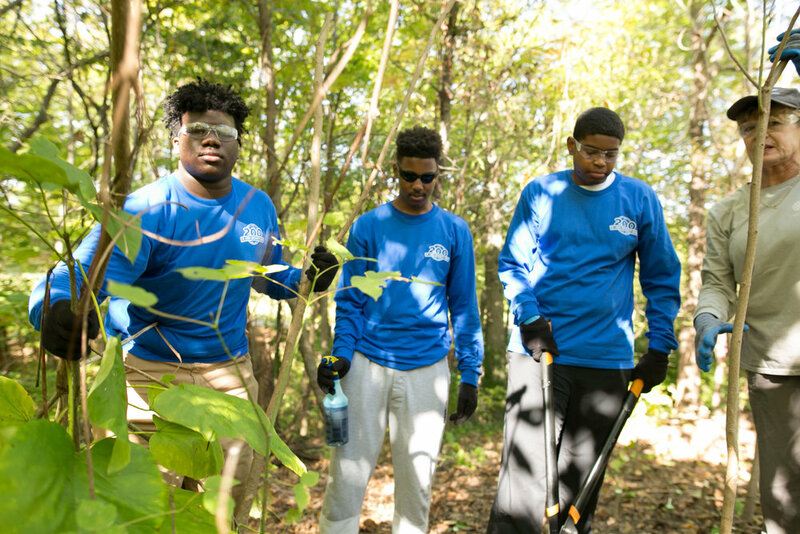 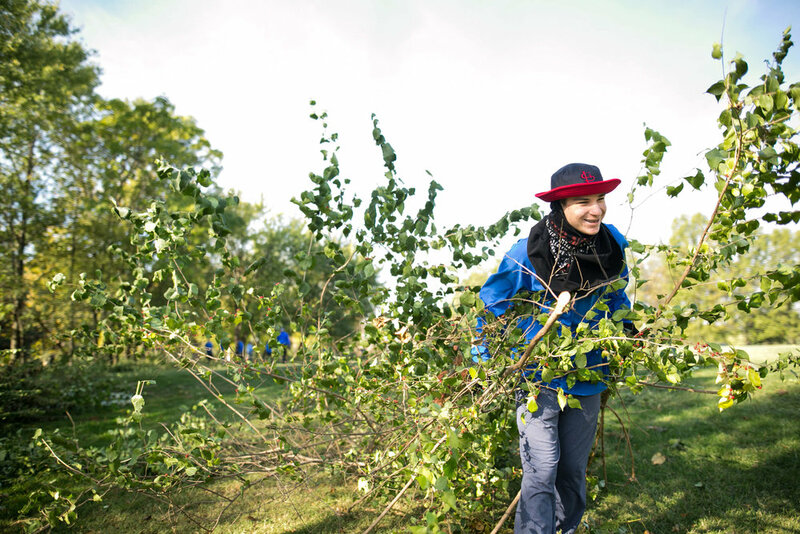 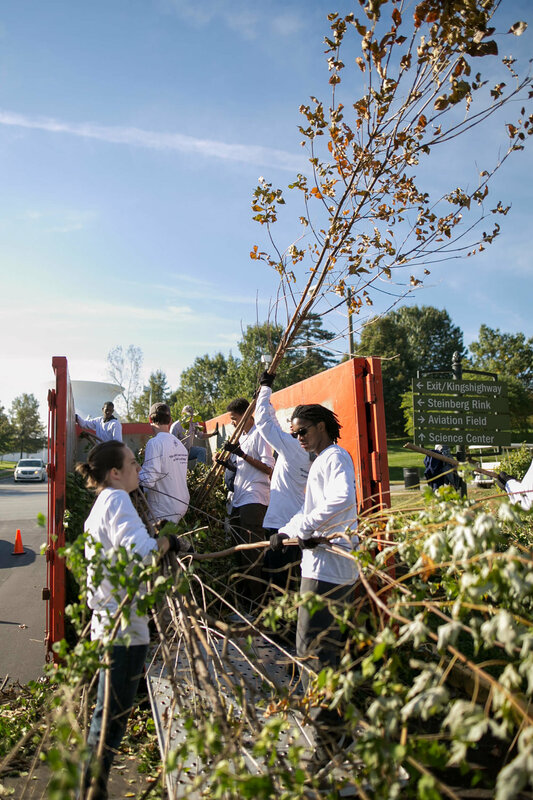 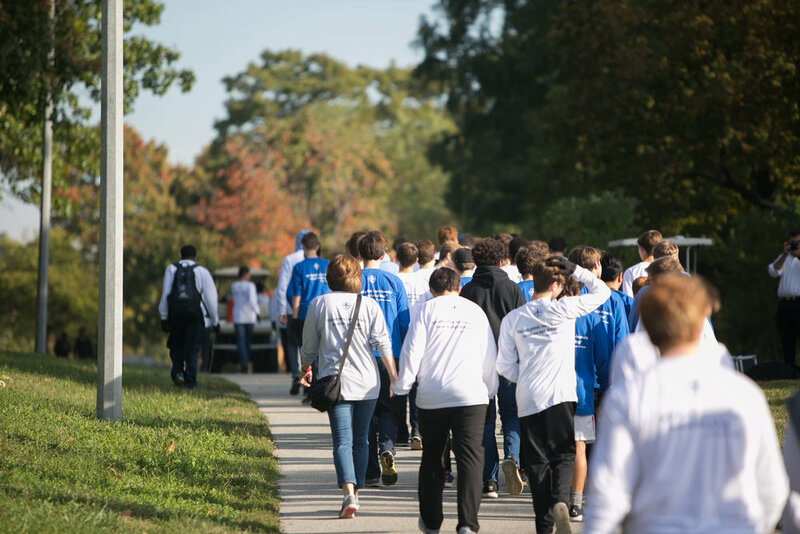 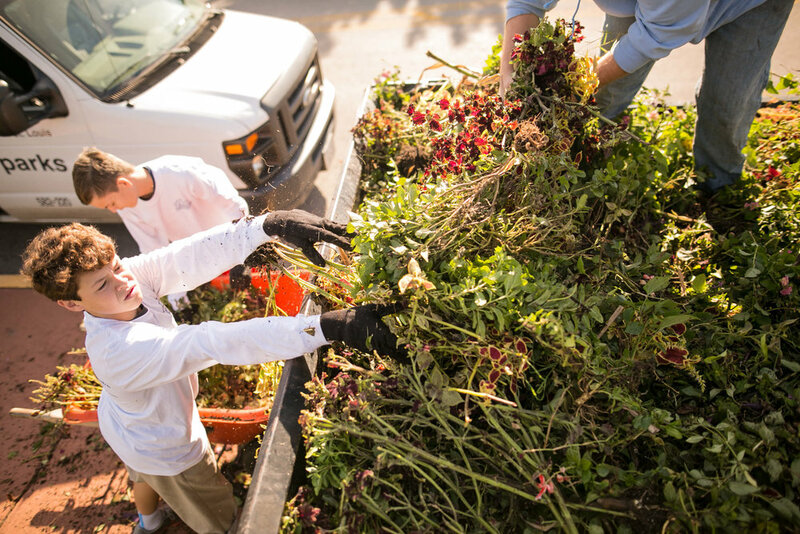 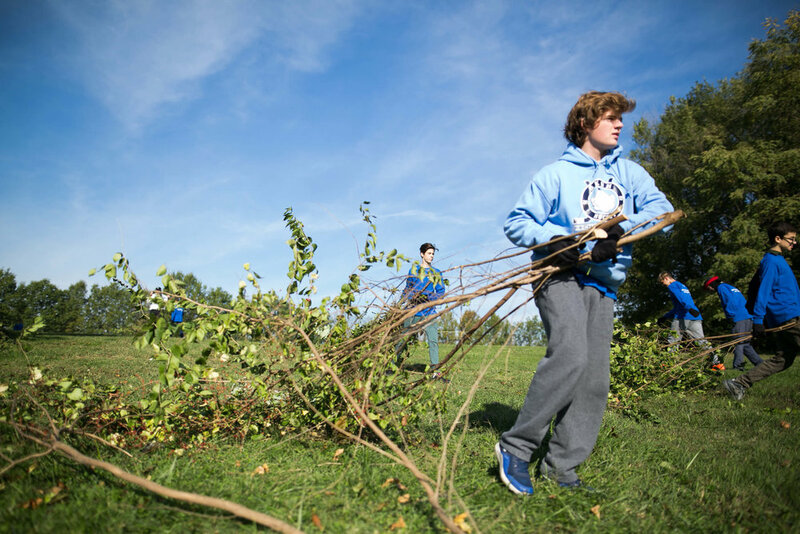 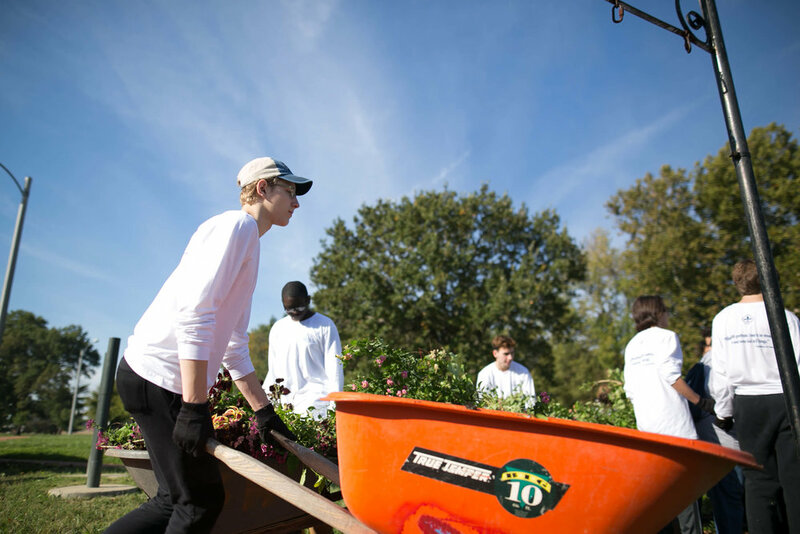 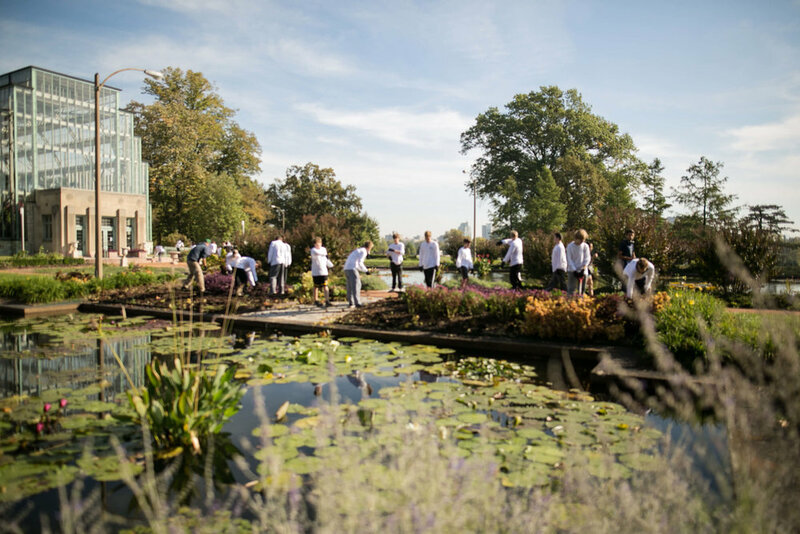 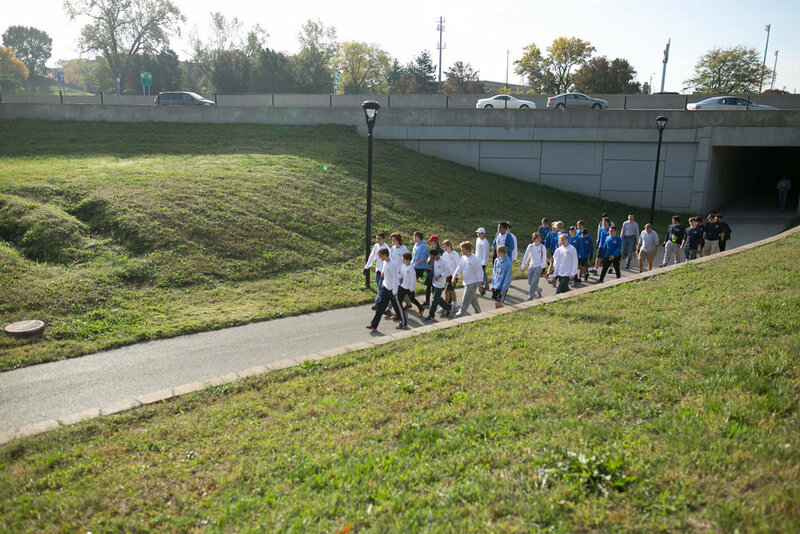 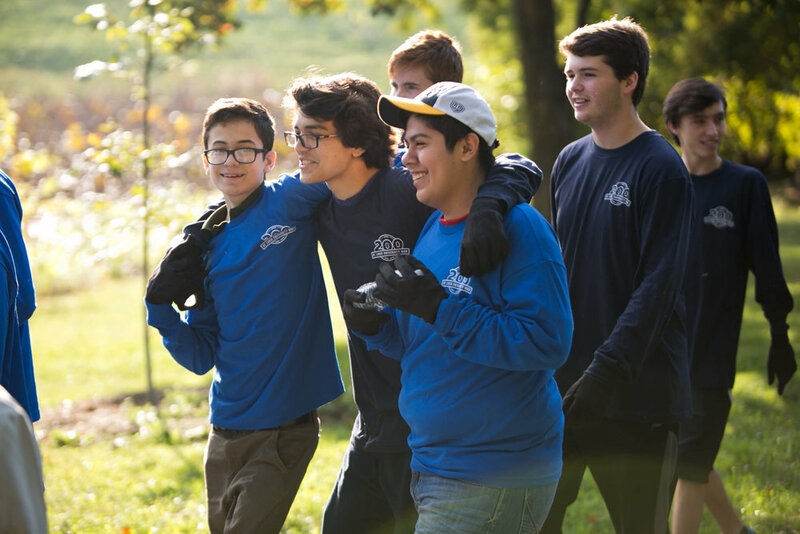 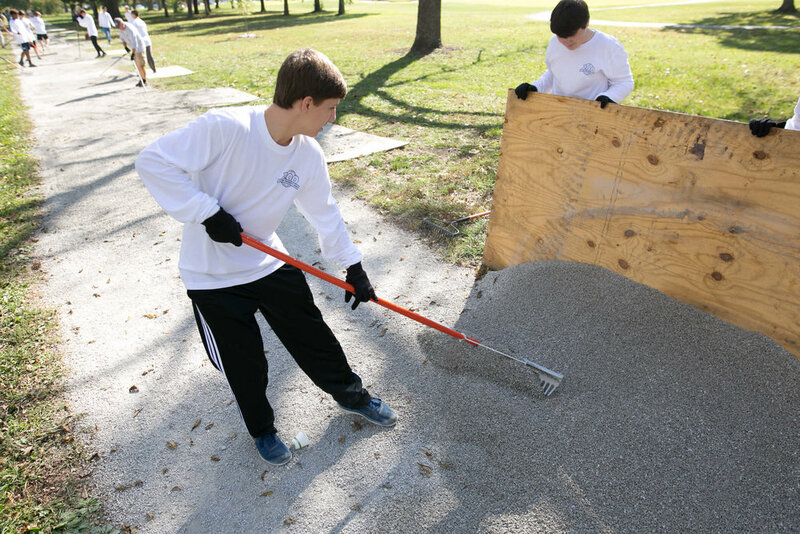 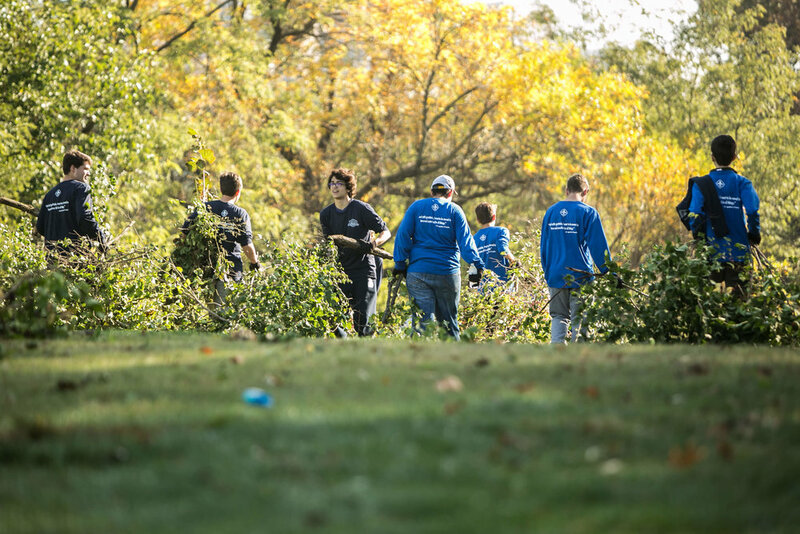 While the upperclassmen were volunteering at a variety of organizations in the area, all freshman and sophomore students spent their time volunteering in Forest Park. 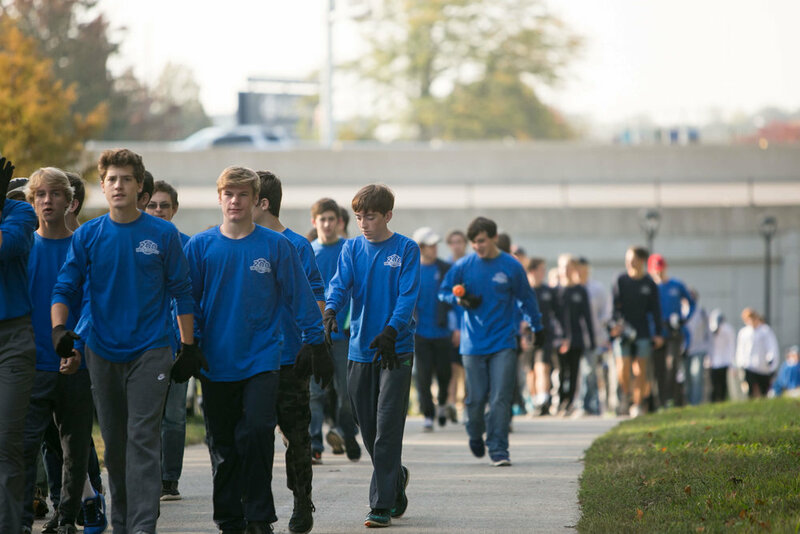 There were nearly 600 students all together, split between City of St. Louis and Forest Park Forever teams. 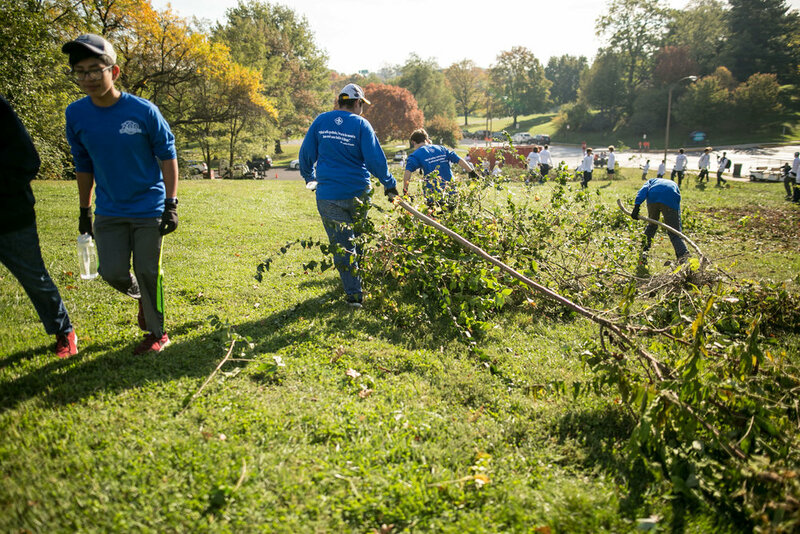 The group represents our biggest volunteer group in Park history! 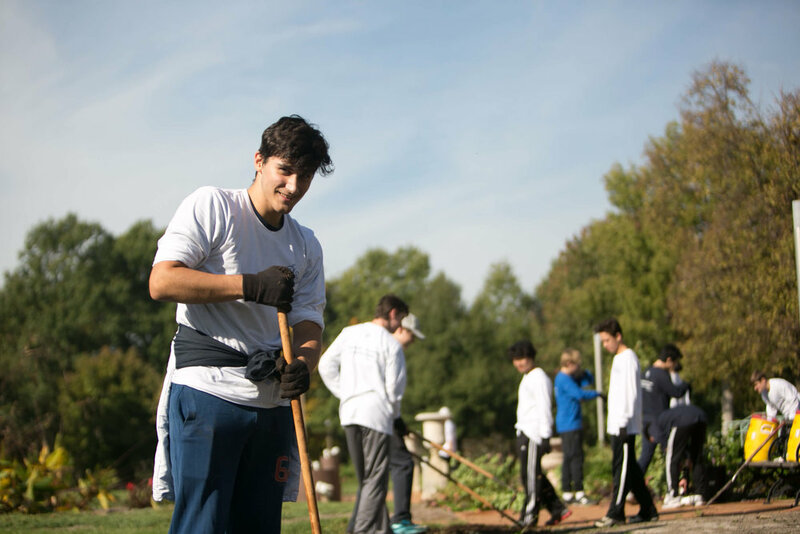 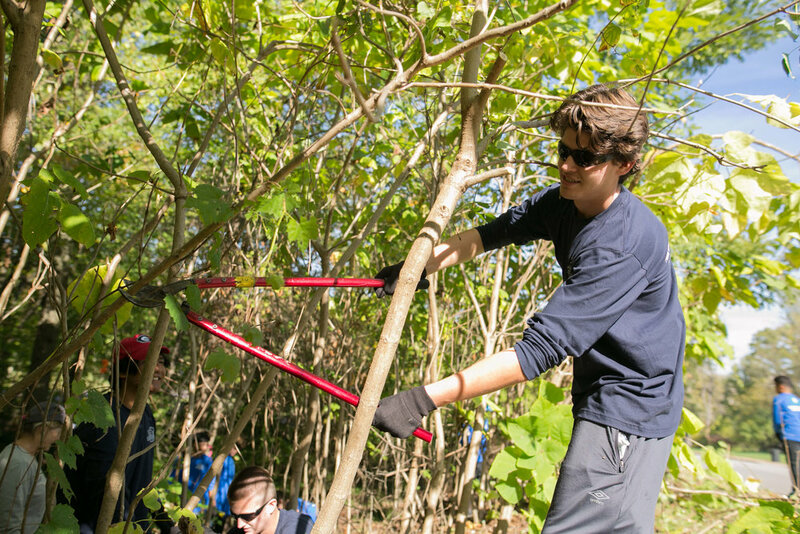 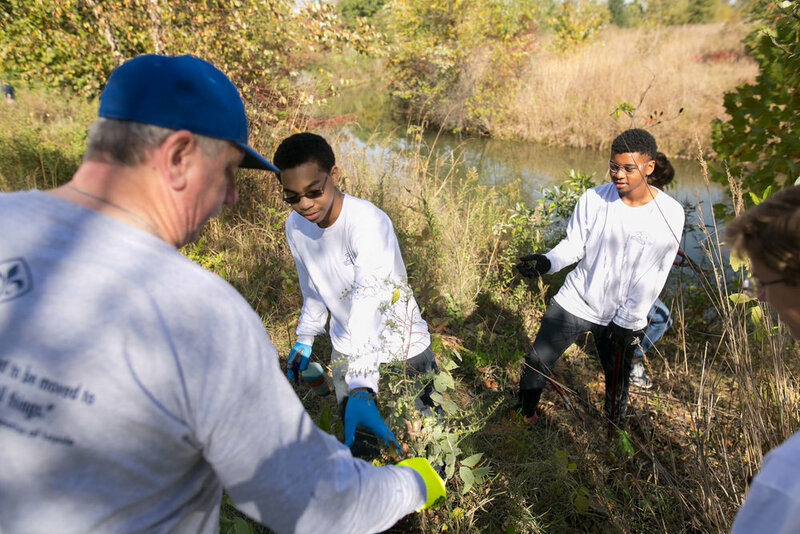 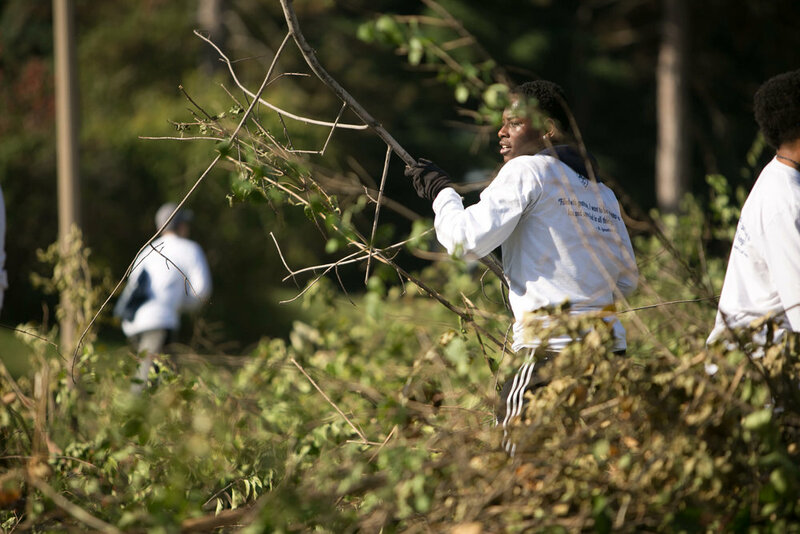 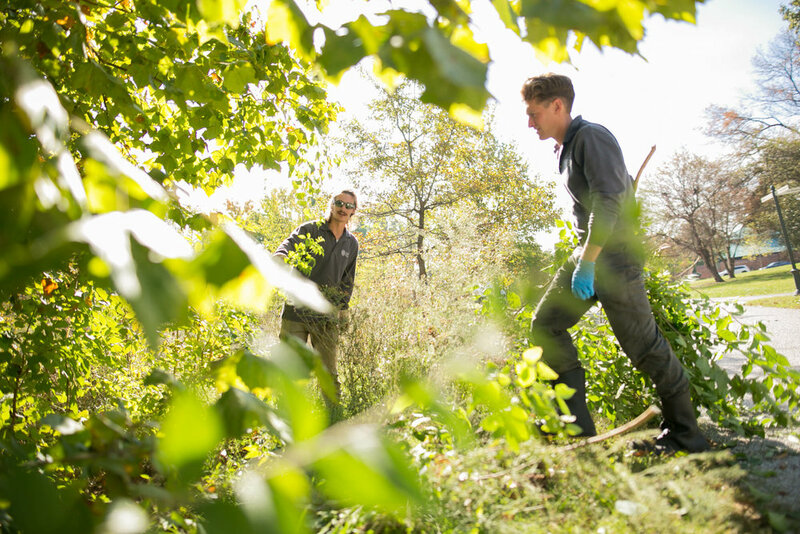 The students worked hard at various sites around the eastern and central parts of the Park, helping to restore chat paths, remove invasive species and turn over garden beds in preparation for winter. 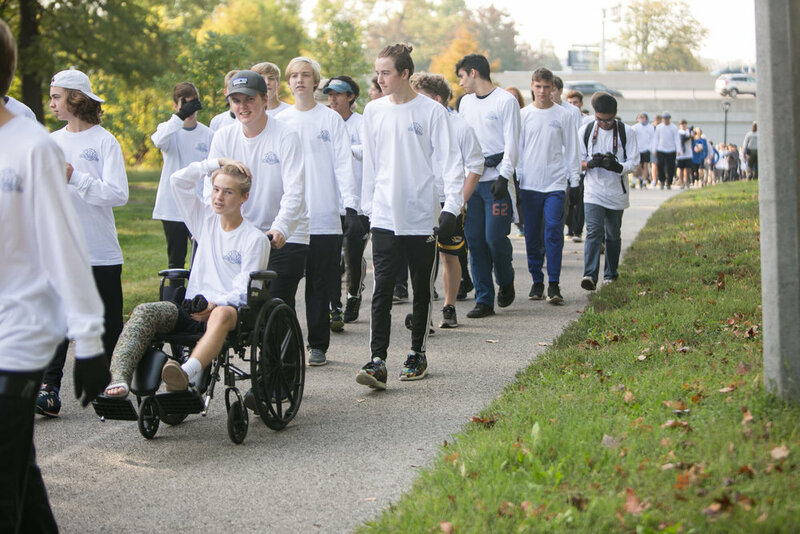 Click through the slideshow below to see some highlights from their day in the Park.